Our company is engaged in offering a wide range of Sleeper Pads. Widely applied in different hot and cold rolling mills, these are featured with high material elasticity & enables the impact to be absorbed, thus preventing the important machinery parts from damage. We offer these in different length & specifications, in accordance with the client's requirements. 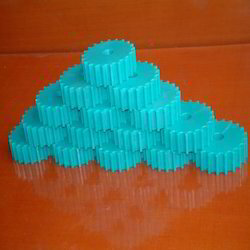 Our clients can avail from us a wide assortment of Plastic Sprockets. These Plastic Sprockets are widely appreciated for their unmatched quality and superior performance in different industry applications. 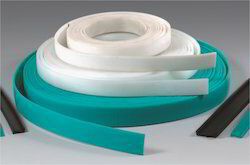 The use of superior quality raw materials, coupled with advanced techniques of production ensures their high strength and resistivity to harsh conditions. We take into account the international quality standards set by the industry and fabricate the best quality range of Plastic Sprockets. We specialize in providing a comprehensive array of UHMWPE Sprocket. We are offering Split Bushes to our clients. We are offering Guide Wear Strip to our clients.